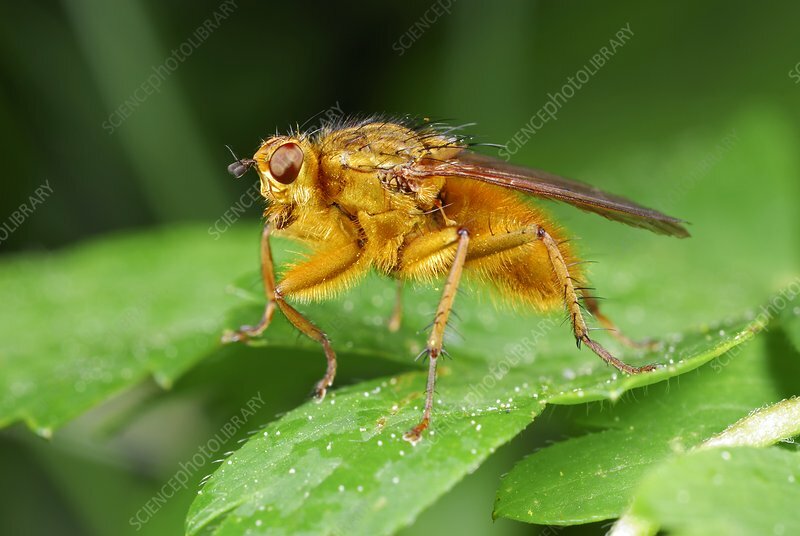 Yellow dung fly (Scathophaga stercoraria) on a leaf. This fly spends its larval stages in animal dung. It feeds on other small insects and is used as a form of biological control in agriculture. Photographed in Poland.